Orihuela´s historic centre will be transformed back to the Middle Ages for three days, from Friday 1st to Sunday 3rd February 2019. The hugely popular market is one of the biggest and best in Spain. 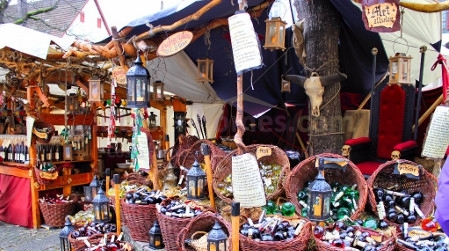 The market showcases what life was like during those turbulent times when Christians and Moors dominated the land. You will need a few hours to wander around the hundreds of stalls selling crafts, clothing, jewellery, gifts, food and drink. Medieval tournaments, jugglers, acrobats, musical performances, puppet and dance shows are in abundance. A popular attraction is the suckling pigs roasting on a spit, paella, ribs and excellent spanish wines which are all readily available. A great day out for everyone!